I've never planned a wedding, but I know from watching many hours of Say Yes to the Dress that it can be a stressful experience. Stressful, and crazy expensive. If you're currently dazed and confused by your upcoming nuptials, might I suggest gaining inspiration from Redditor Alkitkat who crocheted her own wedding dress using only $30 in materials. Take that, $7,000 Reem Acra gowns from Kleinfeld! My commute time couldn’t be used for anything else anyway. The dress is also machine washable (I’ve washed it several times), doesn’t wrinkle or need any special care, and I plan on wearing it again with linings of different colors and with the train bustled up in different ways. Those are some next-level crocheting skills! Alikitkat also made a stop-motion video of her progress from start to finish, illustrating the steps of the procedure. While the video won't exactly teach you to be an incredible dress maker, it just might inspire you to pick up a crochet needle and start practicing. 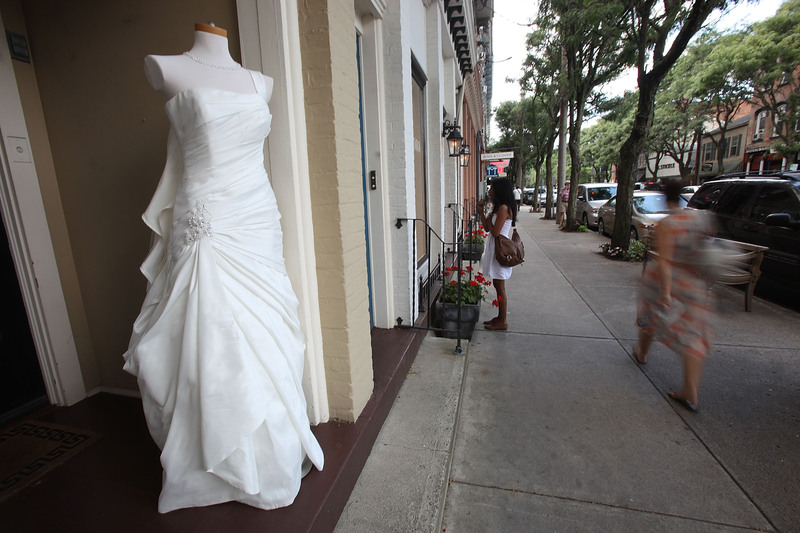 Who knows, maybe you'll become the Jenny Humphrey of wedding dress design!